I found a recipe in one of my online newsletters that looked refreshing, and so I bookmarked the recipe, When I decided to make the salad last week though, I found that a few things weren’t practical. This turned into what my Mom called a “beef and pea pods” recipe… she was supposed to have pea pods but couldn’t find any, and it was supposed to be hoisin sauce but she knew my Dad wouldn’t like that… well, you get the picture. I tweaked the recipe and it turned out great!! So, here is my version. OPTIONAL : leftover beef, pork or chicken – this can make the dish a light dinner instead of an appetizer course! If you are using meat, chop it into bite size pieces. Prepare other ingredients by chopping and setting aside. Toast peanuts for about 3-5 minutes in a 400F / 190C oven. If you are using couscous, quinoa or noodles, cook as directed. In a large bowl, whisk together fish sauce, agave syrup, juices, chiles, and garlic. Add other salad ingredients and stir gently. 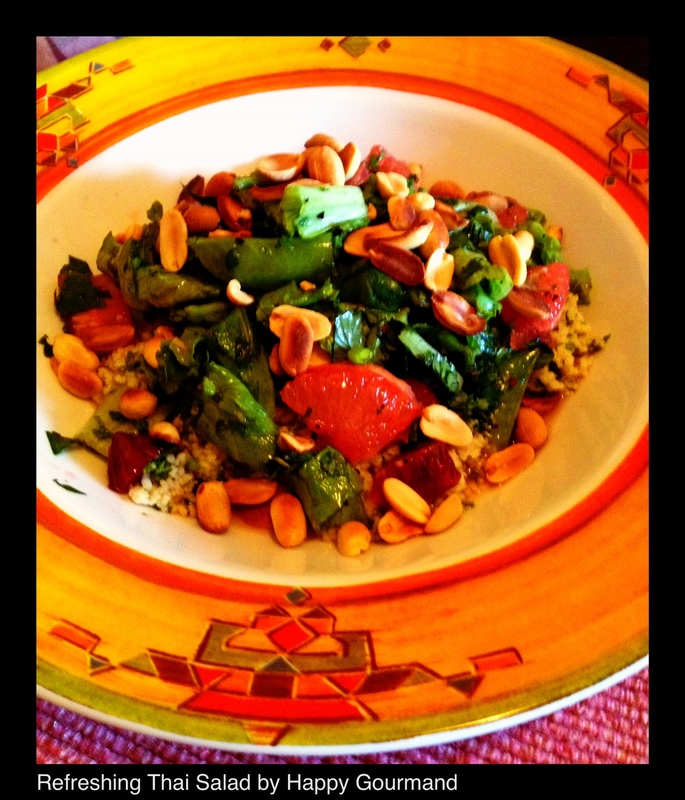 Plate salad with couscous, quinoa or noodles first and salad on top. Spoon extra dressing over the top if you wish, or serve on the side. 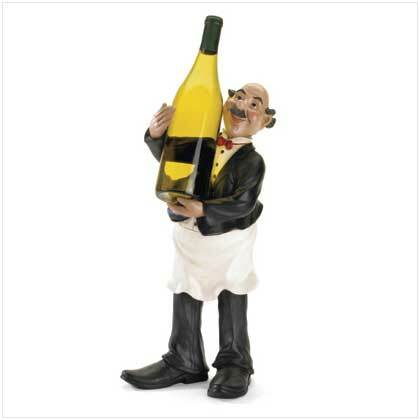 if you like this guy, check out http://www.sterlingwineonline.com for all kinds of wine gifts! If you are wine fan, this is a perfect recipe for a Gewurztraminer.